The Wordies (524 trailer views) - PLAY IT! 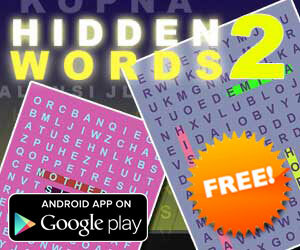 Description: The Wordies is a free to play version a popular word search game with relaxing high scores gameplay and over 150K English words to be found! Perfect fun for all ages!